Passover’s popularity is partly because it’s the holiday in which we retell the foundational story of Jewish history, the Exodus from Egypt. If you’re familiar with the Exodus story, the holiday is named for the part of the story in which God is getting ready to smite the Egyptians with the tenth and final plague. God instructs the Hebrew slaves to mark their homes and warns them that the Angel of Death will be sweeping across all of Egypt, killing the first born sons of all that live, but that the Angel will pass over and spare the first born sons of every home that bears the designated mark. 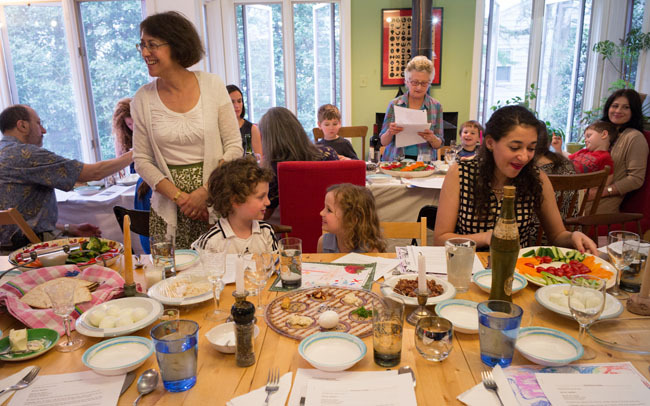 Passover is also a big deal because many Jewish families come together to share a special celebratory meal (called the seder – more on that in a bit). Imagine a holiday with the importance of Thanksgiving, but without the breaded stuffing (more on the food rules of Passover later). So you got invited to your boyfriend/girlfriend’s house for seder… Does that mean you should expect a ring? Your Turn to Host the Seder? Wait, the First Seder? There’s More Than One?